Luis Jacob, Light On (Flashlight), 2013, video still. Courtesy of the artist. Videographe, in association with Vithèque and Residency Unlimited (Brooklyn), launches Network consciousness, an online video program complimented by a series of multi-venue screenings. In a time when virtual environments are omnipresent, artist and independent curator Felicity Tayler links together physical and online events. The event at RU will host the last phase of Network consciousness. This screening combines recent work from the New York-based artist Marisa Jahn (REV-) and RU artist Julia Oldham (Eugene, OR), in attendance at the event, with artists from Québec: Skawennati, Darsha Hewitt, Charles Binamé and Simon Brown. Each video works through the metaphor of the network to reveal contradictions within our contemporary experience of collective awareness. Break Up is a collaboration between RU artist Julia Oldham and experimental physicist John Royer (National Institute of Standards and Technology, Gaithersburg, MD). The scientific research into the interactions of granular materials done by Dr. Royer at the University of Chicago parallels the arc of a romantic relationship, Oldham and Royer perform as labmates and ex-lovers. Network consciousness was first introduced on Videographe’s on-line platform vitheque.com on October 24th 2013, followed by a one-night event at SBC Gallery (Montreal), presenting Light On (Flashlight) by Toronto artist, Luis Jacob. 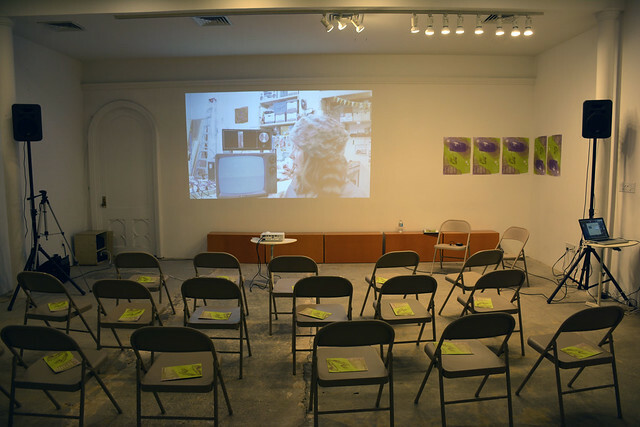 Like the screenings in Toronto and Brooklyn, it was a unique event, limited in time and space, but nonetheless is continuously shared, or networked, over time to a wider audience through similar experiences in other locations and on different platforms. The second phase, which runs concurrently to the event in Brooklyn, is a screening of La Consommation (1973) in the storefront window at Art Metropole, in Toronto. This program is supported by Videographe, Centre de Creation, de Diffusion et de Distribution, by Vitheque – Independent video on line and Conseil des Arts et des Lettres du Québec (CALQ).